Are you looking for something other than Western medicine? Many of our patients visit our clinic because Western drugs have failed them. After having great faith in the Western regimen of curing an illness, this hope and faith is shattered and many unhappy patients seek Acupuncture with high hopes of finding a cure that works. 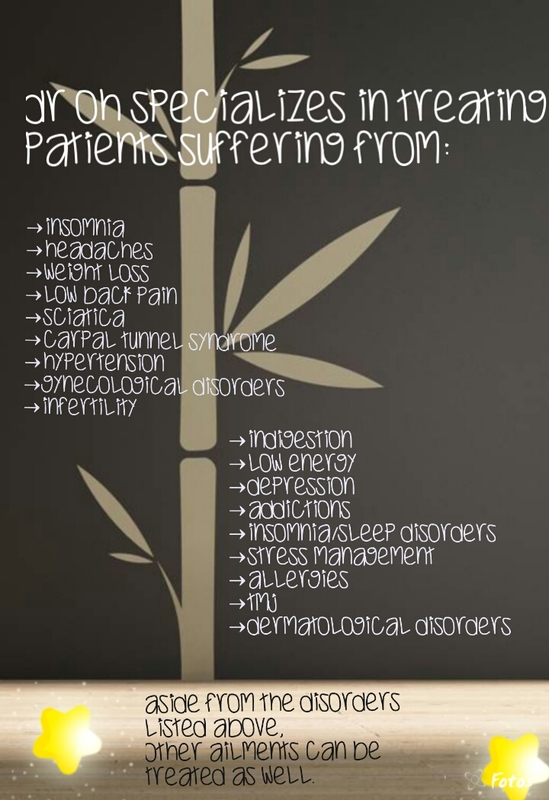 And surely, receiving Acupuncture along with herbal medicine does not disappoint. Traditional Chinese Medicine (TCM) is a form of alternative medicine that is all natural and effective. It also is a complimentary medicine and works well with western treatments. Lastly, TCM is a preventive medicine in that we try to prevent the illness from progressing any further through the usage of Acupuncture and Herbal medicine. Because Traditional Chinese Medicine is all natural, there is no harm in it at all, as long as the treatments are given by a licensed Acupuncturist.